Select a door style below to find out more. Garrard Windows offer a number of options for your customers to choose from. 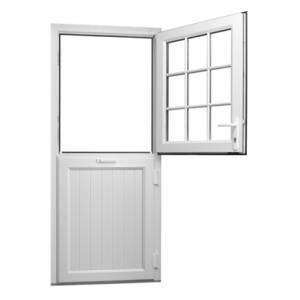 From Residental front and back doors, French doors with working locks and handles to slave doors, period doors (range of colour options) and stable doors, as well as extensive range of Composite doors Garrard Windows has a door for any occasion in chamfered and ovolo. Garrard Windows manufacture doors in Liniar (chamfered and sculptured suite). We ensure that we prepare all we can to make our PVCu doors as fitter friendly as possible. With a choice of flag hinges and bridging packers in place ready for you to start glazing. We have manufactured many PVCu doors over the years and have experimented with a wide range of door locks over the years, we now use a door lock with particularly strong gearboxes on the hooks. This allows the hooks to take the pressure required to seal the door, which means we do not need to use "cams" which are normally there to take the pressure off the hooks, but are the first thing to foul should the door move by more than 2mm. Removing the need for "cams" should also result in a large reduction of service calls to adjust a newly installed door by 2mm. This will ensure that your fitters are more productive, and your customers happier. For the security conscious Garrard Windows fit shootbolts both top and bottom as standard on all of our PVCu doors. Typical of our attention to detail is the way we connect the aluminium low threshold to the frame,( no plastic end cleats in the wrong colour) we end mill the low aluminium threshold so it fits around the frame. Coloured foiled door profiles can be used with matching grained panels in the bottom, to create a coloured upvc door for those who choose not to use a composite door (these are currently only available in full ovolo suite). 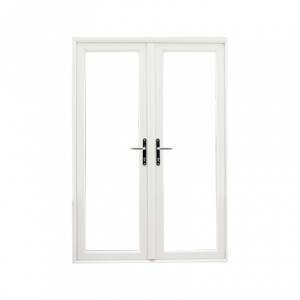 Our range of exterior French doors include classic, traditional and contemporary designs, all with the added benefit of uPVC double glazing. 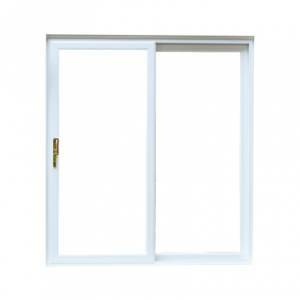 uPVC double glazed Patio doors are stylish, contemporary, practical and perfect for enhancing any home. 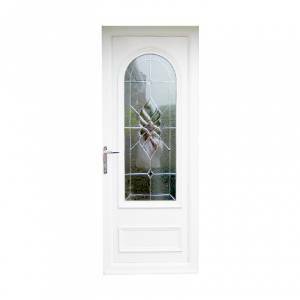 uPVC Residential doors are made to measure and tailored to your specification and the style of your customer.